Memebox has been getting a lot better with their boxes. They've also been releasing more than they have been in months so there's actually starting to be quite a selection. 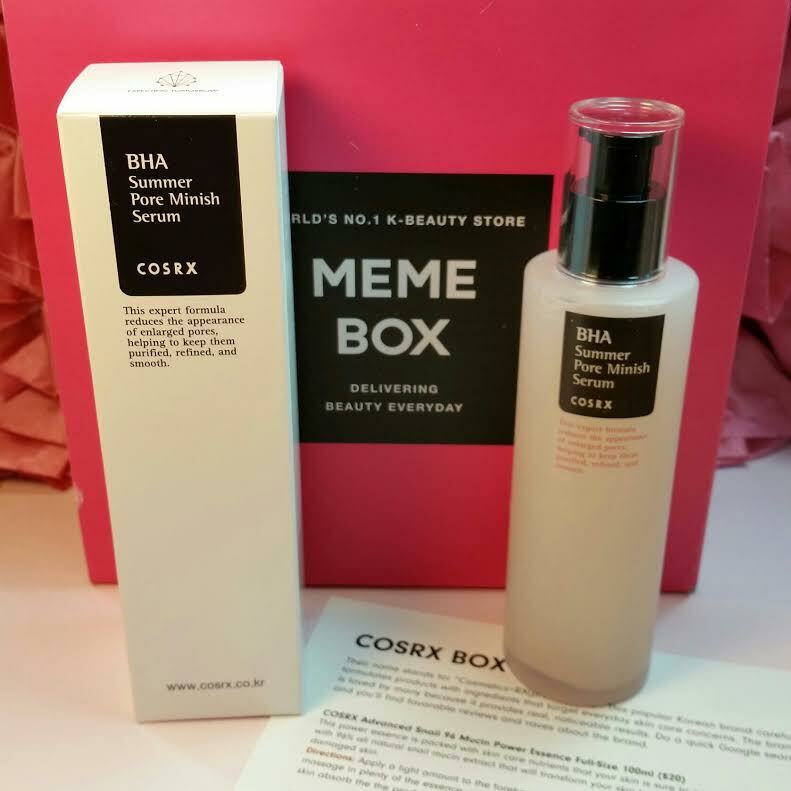 When the Memebox CosRx became available, I couldn't resist because it contained two products I've been wanting to try for ages. The only reason I haven't purchased them already is because of shipping costs. So while this Memebox was $45, it was still enough of a deal to make it worth it. These Memebox contains five products that were already revealed when I purchased the box. I probably would have purchased it not knowing and hoping that the AHA/BHA toner would be in there. Since it was, I snagged one, used some Memepoints and a coupon and $35 later here I am. CosRx stands for "cosmetics + Rx (prescription)." There are two products that I'm really excited about, one that I've wanted to try for awhile and two that I will pass on. I know. Not a super great track record but hey, I'm an ingredients snob. 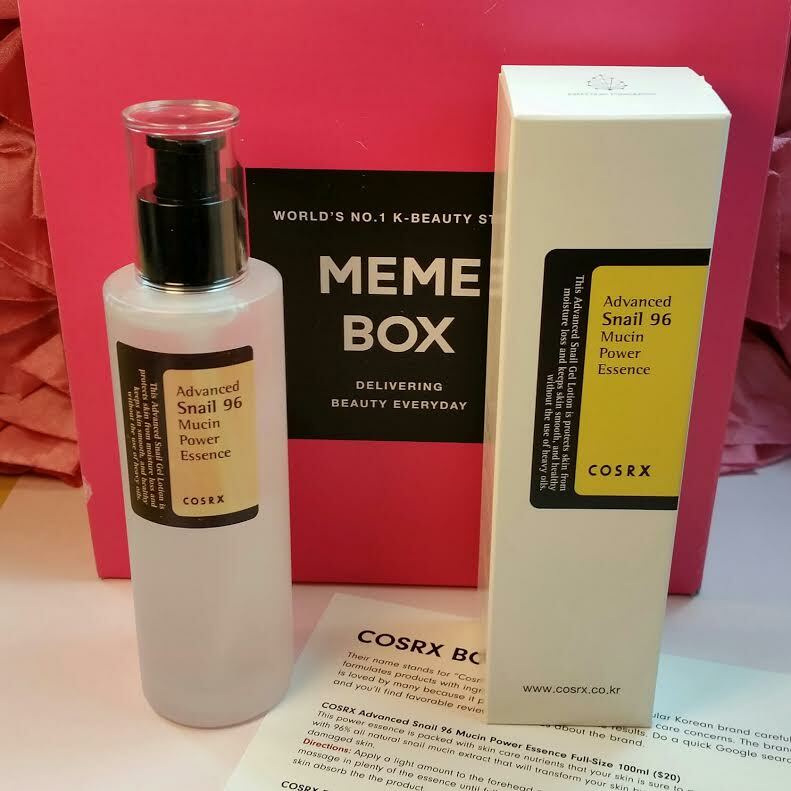 CosRx Advanced Snail 96 Mucin Power Essence-100ml- Well, I'm obsessed with snail so this is awesome. I didn't even know about this product until it arrived in this box but I'm thrilled to have discovered it. It's a clear essence and it's viscous and has that stringiness that I tend to associate with products that contain large amounts of Snail Secretion Filtrate. This claims to be 96% Snail Filtrate and the ingredients list is nice and short. It also has sodium hyaluronate that will increase moisture levels in your skin. Interestingly, sodium polyacrylate does the same thing! More research on this ingredient is required. This product might be my new favorite thing. CosRx AHA/BHA Clarifying Treatment Toner- 140ml- This is the product I've been desperate to get my hands on. It seems that people either love it or hate it and I'm hoping mine gets along and becomes it's new BFF. Having an AHA/BHA in your skincare routine is so essential. The acids are what help remove old dead skin and encourage the new skin cells to show their glowing faces to the world. You want to get rid of dull skin? Get an AHA and/or a BHA into your routine. This has a pH of 4.5 which is great. It uses a concentration of 0.1% glycolic acid and 0.1% betaine Salicylate as the active ingredients. It's not super strong so it should be useable by even the most sensitive of skins. It also says that it has 10% apple water but that is basically fragrance and does nothing for your skin as far as I can research. Ingredients: Mineral water, Willow Bark Water, Apple Fruit Water, Butylene Glycol, 1,2-Hexanediol, Sodium Lactate, Glycolic Acid, Water, Betaine Salicylate, Allantoin, Panthenol, Ethyl Hexanediol. CosRx Salicylic Acid Exfoliating Cleanser-150ml- This creamy cleanser helps prevent breakouts and cleans out your pores. It also has tea tree oil in it to help out troubled skin. Sadly for me, it also has a pH of 9.5 so I'll be passing this along to someone who doesn't have issues with redness like I do. 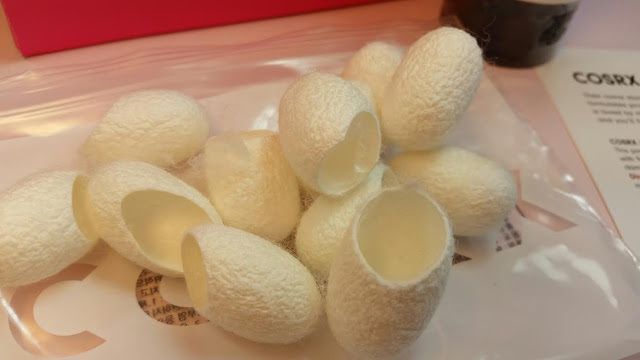 CosRx Blackhead Silk FingerBalls-12 pc- I was so bummed to see this was only 12 pieces! I was hoping it would be the big bag of them. I've been dying to try this since Luckybox #5 or so. You soak the fingerball in warm water then put it on your finger and massage your blackhead area. I haven't used one yet because my blackhead area (around my nose), is totally perfect from the Botanic Hill Nose Patch I used. And I don't want to waste these since there are only twelve. VERDICT: This is a really great Memebox. And it has a practically perfect collection for skincare. Cleanser, toner, serum, essence. The only thing missing is a moisturizer but I have a million of those. My disappointment comes not from Memebox but from CosRx. Why do they have a cleanser with such a high pH and why are they cutting corners and putting alcohol in where they don't need it. Since they are a skincare brand, you'd think they'd pay more attention to that kind of thing. Sure alcohol is cheaper than the alternatives but they can do better. I'm sure of it. The value of this box is excellent though for me, I'll be using products that are worth what the box cost so there's no deal. But they are products I will/am using so that's good. If I could explain to you how petal soft my skin is after using just the AHA/BHA toner and the Snail Essence, I would try. Let's just say irresistibly soft and the best part is that it has nothing to do with silicone. It feels better than skin with silicone-based primer on it. UPDATE: I have to say that the AHA/BHA Toner and the Snail 96 Essence are probably the two best things I've ever used on my face. I use them in conjunction and my skin has responded so beautifully. It's consistently soft and smooth (thank you, Toner!) and well hydrated with my fine lines plumped into invisibility (thank you Snail 96!). I don't buy many things twice but these will both be repurchased. You can still buy this box! 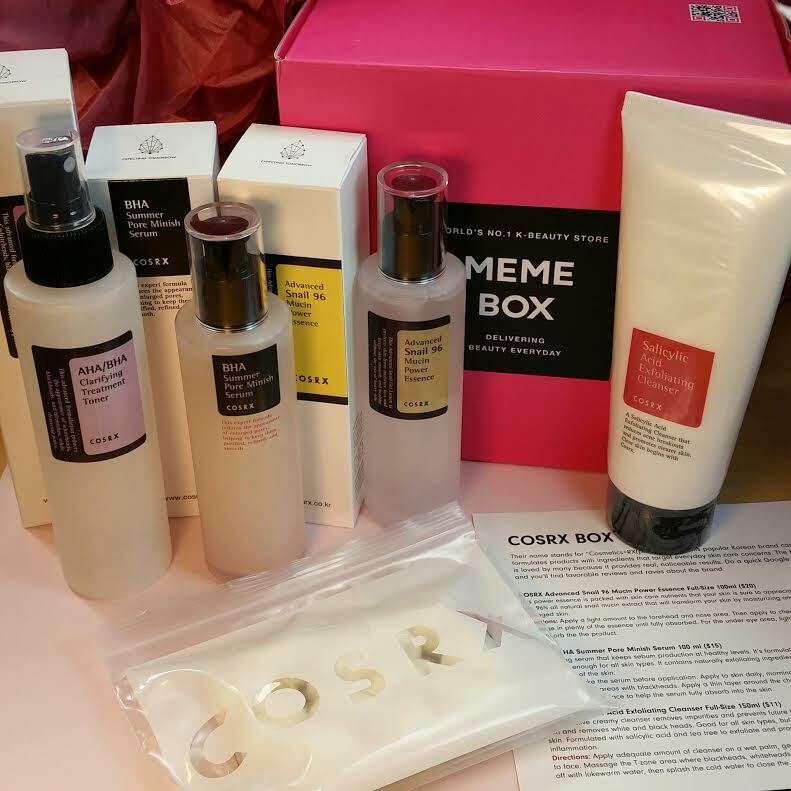 Get the Memebox CosRx box here! 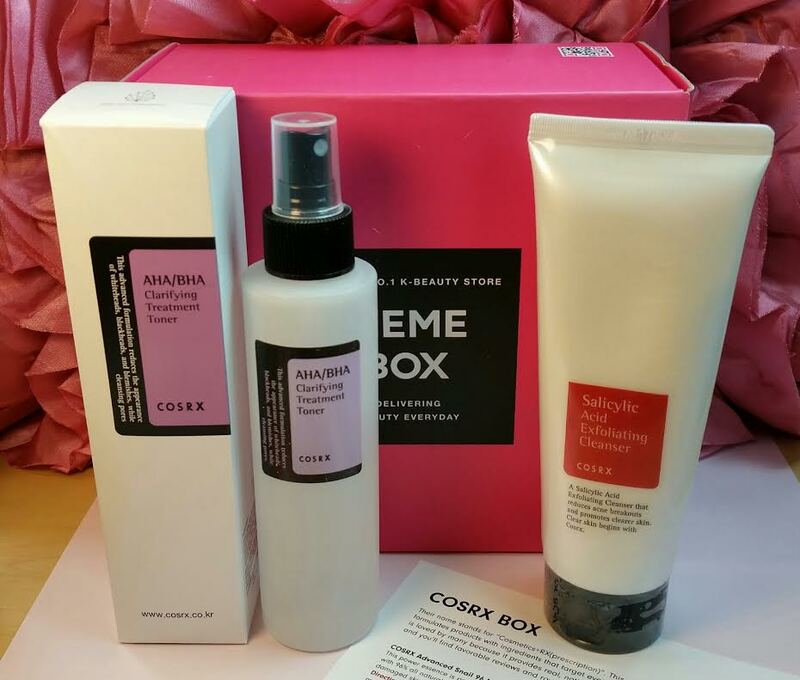 If you would like to see what more Memebox has to offer, you can check out their available boxes here. They've got some really good ones right now, I have to admit. Like the Fountain of Youth box or the Milk Box. Do not, under any circumstances, forget to use coupons! Currently, I believe you can use codes: WELCOME, LOVEYOURSKIN and/or COMEBACK and get 15% off your purchase. If you've used those already, try MEME10 for 10% off.